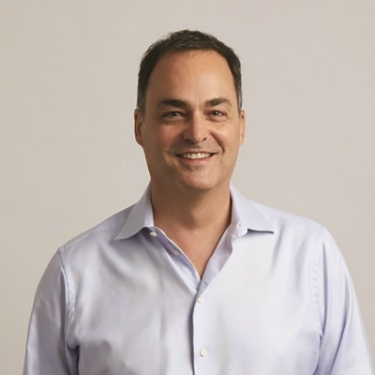 Noon Home CEO Erik Charlton talks with CE Pro about the future of the company in the custom integration channel and a recent study on how consumers often shy away from app-required smart home devices. Erik Charlton says Noon Home is "laser focused" on the professional integration channel as exclusive partners to the brand. CE Pro recently spoke with Erik Charlton, CEO of Noon Home to discuss how the company is approaching the custom integration channel, whether it plans to expand into new markets, and more. As a relatively new company within the smart home space, what makes Noon Home unique in this increasingly competitive market? Noon Home is the first company to combine modern industrial design, advanced technology, and precision dimming to deliver an unmatched user experience. Noon’s products are designed to address both the desires of Millennials and the needs of builders, installers and lighting designers. Right now Noon Home addresses lighting control; are there plans to expand into categories such as shades, HVAC/thermostats, control for wireless music systems, security, etc.? Our company mission is to ‘enable well-being through the responsive home.’ So, yes, we have big plans to offer features and products beyond lighting controls. You should anticipate seeing Noon switches with some amazing new capabilities. Noon is partnering with home product leaders to develop experiences like integrated voice control throughout the home, invisibly integrated security, and even health monitoring. Our patented modular architecture places Noon in a unique position to become the de facto smart home infrastructure of the future [builtin, powered interface in every room]. We absolutely believe the smart home should learn about an owner’s preferences, anticipate needs, and empower our well-being. Today homeowners can unlock ‘beyond lighting’ experiences through our partner integrations. Noon offers Control4, Google Assistant, Amazon Alexa, IFTTT, and LIFX integrations. A recently commissioned Noon Home study found that 60 percent of consumers won’t purchase smart home devices if the product requires an app. What does this signify to you? Consumer app fatigue is very real. And while most consumers want the power that comes from using an app, they also want the convenience to do things as they have in the past [for themselves and others in the house]. The reality is that not everyone in your home will have a phone, app and account. We are seeing this in our data, too. For example, 70 percent of Noon customers make light adjustments right from the switch. There’s a belief within the smart-home industry that ultimately consumers want a choice of control options — voice control, apps, and traditional interface solutions such as light switches. Does Noon Home share this perspective? "Our company mission is to ‘enable well-being through the responsive home.’ So, yes, we have big plans to offer features and products beyond lighting controls." Yes, we agree 100 percent. Voice and app control are fantastic additional control interfaces. But at Noon, we strongly believe that physical control — that familiar light switch on the wall — is essential for both homeowner convenience and reliable performance. The fact is smart home products that are built exclusively on a cloud/app architecture fail when they lose Internet access. Frankly, it is totally unacceptable for a home utility like lighting just to stop working. That’s why we built a distributed intelligence system that is both convenient and reliable. It also turned out that a wonderful side benefit of this architecture is that Noon scales up/down on the fly without respecification or rewiring. Lighting designers can spend weeks specifying and respecifying systems system based on homeowners’ budgets and desires. With a distributed intelligent system that is not an issue with Noon. Is Noon Home actively pursuing custom integrators? Noon is laser focused on the pro channel. We are aggressively building relationships with the custom integrator, electrician, and home builder/developer. As a team with a lot of prior retail experiences, we do not feel that the DIY channel is a good fit for a product like the Noon lighting system. This is simply because of the project complexity associated with installing 10 to 100 switches, some of which are multi-way. A project that large is a lot to ask anyone to do themselves. The research also shows that 80 percent of the aggregate home improvement spend is allocated to ‘professional install’ vs. 20 percent DIY. And lastly, the pro channel is critical to offering for the high level of service we hope to offer along with any support for integrations or future ‘plug in’ Noon Home special extension switches.